Fury 325 is North America’s longest steel coaster which is over 1.25 miles long. The average ride time is 3.25 minutes and crosses both North and South Carolina state lines. 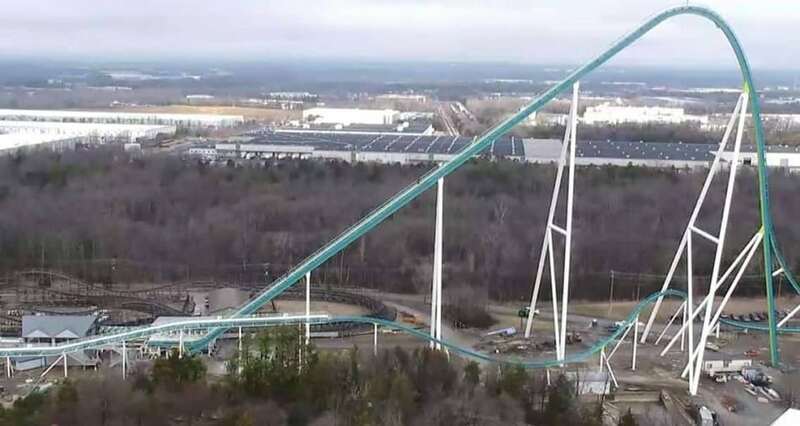 Fury 325 riders ride to a height of 325 feet, following a dramatic 81-degree drop. Then race into a massive 190-foot tall barrel turn and a high-speed S-curve reaching speeds of up to 95 mph. There is also a 91-degree over-banked horseshoe turn, with a dive underneath a pedestrian bridge, a high speed banked curve, camel back hill and an intense double maneuver. Grab a beer when it’s over.